OAKVILLE, Ontario, Canada, August 21, 2017 – Emergency Response Management Services Corp (ERMS), a SaaS (software-as-a-service)-based emergency notification system provider based in Ontario, Canada, today announced it has been acquired by Rave Mobile Safety (Rave), provider of critical communication and data platform solutions trusted to save lives. The acquisition enables Rave to bring its award-winning technology and services to the Canadian market, with emphasis on government agencies. June 22, 2017 — Oakville, ON|ERMS is proud to sponsor the Continuity Management Symposium in Toronto, June 22 2017. Presented by the World Conference on Disaster Management (WCMD), the symposium promised a day full of valuable insight and top-tier presenters on topics ranging from Supply Chain Continuity to Cyber Security Breach. May 23, 2017 — Oakville, ON | ERMS is pleased to sponsor the Halton GO21 Walk, in association with the Halton Down Syndrome Association (HDSA). The Canadian Down Syndrome Society (CDSS) launched Go21 in 2014. “Go” celebrates the advancement and strength in the Down syndrome community and “21” represents the extra copy of the 21st chromosome, which characterizes the genetic condition. May 18, 2017 — Oakville, ON | ERMS Corporation is pleased to announce that the Advantage Emergency Mass Notification System was selected as the winner of the 2017 Sprott School of Business at Carleton University Outstanding Product Achievement Award, presented by the Canadian Advanced Technology Alliance (CATAAlliance). Every year the CATAAlliance Innovation and Leadership Awards recognize "industry innovation, expertise and leadership". In particular, the award presented to ERMS is granted "to a Canadian organization for an outstanding technology engineering development which results in the production of a world-class product, or family of products. The product will have proven itself in operation, and its design and market success will have enhanced Canada’s international reputation for innovation and excellence." Oakville – March 28, 2017 | ERMS is proud to sponsor the 2017 Hamilton Children’s Water Festival for the second year in a row. Hamilton Water will be hosting its 10th edition of the event May 30th - June 1, at Pier 4 Park. The event will welcome close to 3000 grade 4 students and teachers from across Hamilton, over 250 high school students and hundreds of government and community volunteers. Partners and volunteers all work together to foster the process of educating our future leaders on the importance of water and the positive changes that we can all make to ensure a healthy environment. January 11, 2017 – Oakville, ON | ERMS Corporation – the largest Canadian Emergency Mass Notification provider – announces a record breaking year for business expansion. The year 2016 was very exciting and brought several new clients from various industries, including property management, municipalities, education, finance, insurance, manufacturing and additional government agencies, who have chosen ERMS as an integral part of their crisis management and business continuity plans. May 31, 2016 – Oakville, ON | The 2016 World Conference on Disaster Management is fast approaching and ERMS is again looking forward to attend this prestigious industry event. Every year, Business Continuity, Crisis Management and other professionals gather for a few days of learning, sharing, networking with the industry's who's who and top vendors. May 9, 2016 – Oakville, ON | For over a week, wildfires have been raging in Fort McMurray, AB and officials say there is no end in sight. First responders, including the Canadian Red Cross staff and volunteers are working around the clock, managing home evacuations in the area. 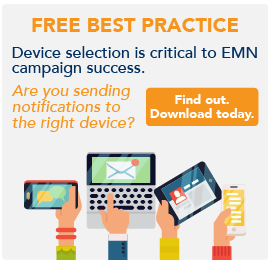 April 23, 2016 – Oakville, ON | ERMS is pleased to announce Phase 2 of its mobile app, available as of this morning to registered customers for update or download on Apple, Android and BlackBerry devices. 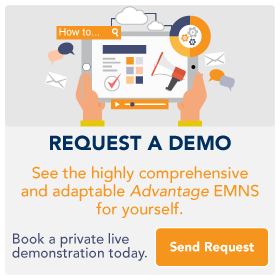 November 8, 2015 – Oakville, ON | ERMS is thrilled to annonced the launch of its new mobile App. Thousands of stakeholders will now receive emergency alerts faster than ever through push notifications. 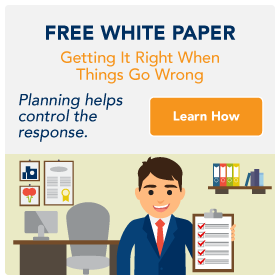 At the first sign of an incident, instant messaging can make all the difference in mitigating serious consequences, and even avoiding a crisis altogether. At ERMS, our product development is always focused on saving lives through technology and our new Mobile App is our latest commitment to this vision.